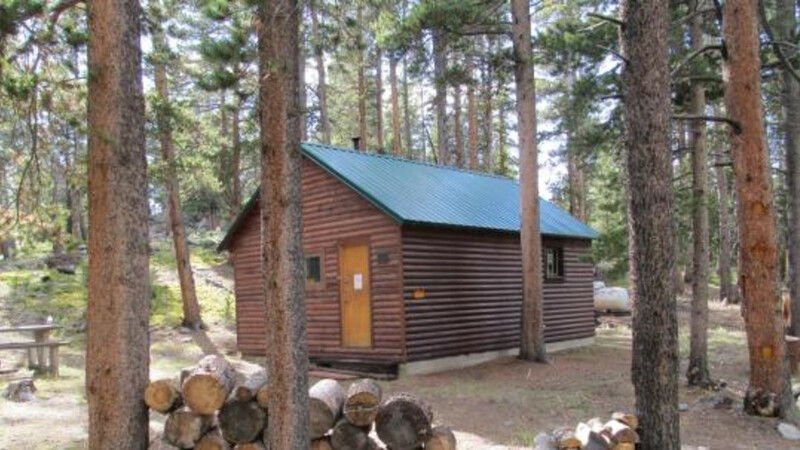 Pole Creek Cabin was built in the mid 1950's by the E-La-Ka-Wee boy scouts for a summer camp retreat. In the early 1990's, the cabin was refurbished and used as a winter snowmobile and ski warming cabin. It is unique in not only its quiet end of the road location, but that it is also located at the edge of both a snowmobile route, and a cross-country skiing route. In the spring and summer, the area is full of wildflowers and wildlife. In the fall, it would make an ideal hunting camp. The cabin is located 22 miles west of Buffalo on US Highway 16, then 1 mile northwest on Forest Road 456. In the winter, access is only by skis, snowshoes, or snowmobile. Visitors must park along the edge of the timber and walk in to the cabin in spring/summer, approximately 50 yards. Reservations are required, and can be made at www.recreation.gov or by phone at 877-444-6777. Entry is by combination lock. Contact the Powder River Ranger District at 307-684-7806 Monday through Friday, 8-4:30 for combination once reservations are confirmed. The cabin has 2 rooms and can sleep 4-6 in the two sets of bunkbeds, with room on the floor for cots or sleeping bags. The main room has a wood stove for heat, kitchen cabinets and counter, table, chairs and benches. Basic utensils are in the cupboards, but it is recommended that you bring your own, and your own eating utensils. Firewood is provided but there is no running water for drinking or cooking, no electricity, trash service or cook stove. Consider packing a campstove for cooking, and any other gear you would pack on a regular camping trip. Fire alarm and extinguisher and carbon monoxide detector are installed. There is a fire ring and picnic table outside, as well as a vault toilet.